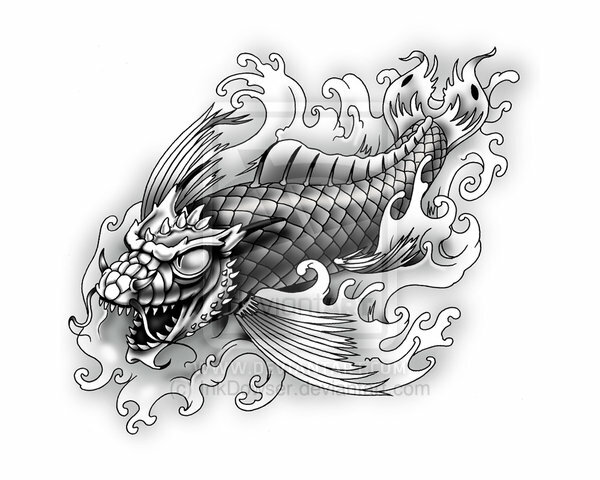 Koi fish tattoo design their meaning along with the details of history is provided in this article. 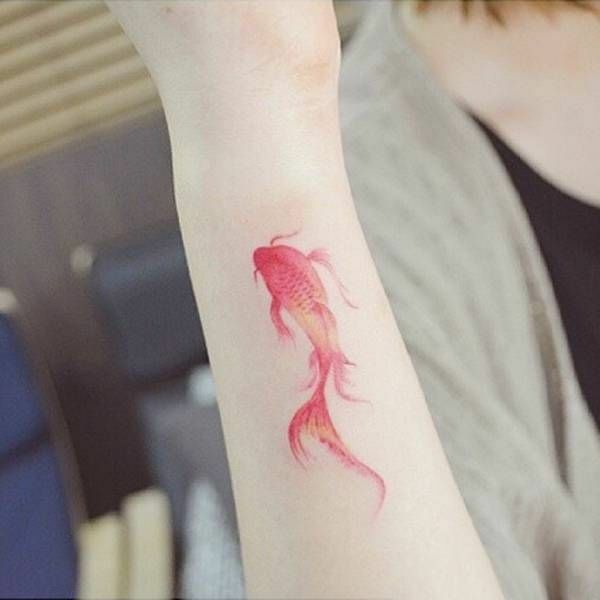 We knew about koi fish tattoo designs, but never had an idea of such huge subject of Koi fish color meaning chart, Japan Koi fish tattoo design, dragon koi fish tattoo design. 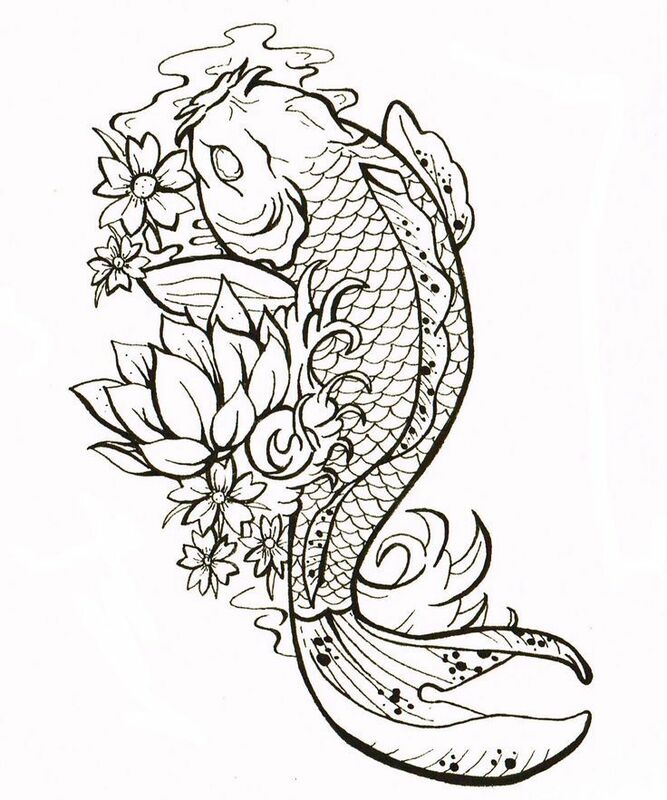 So it would be better to take a dip in the world of Koi tattoo and koi fish drawings. 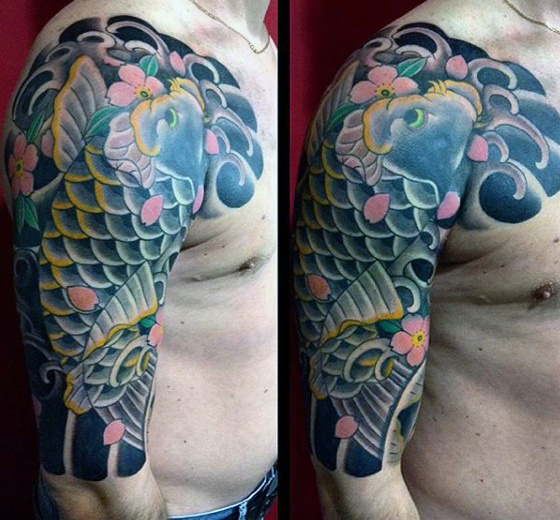 Koi fish holds a lot of importance in the world of Japanese and Chinese Tattoos. 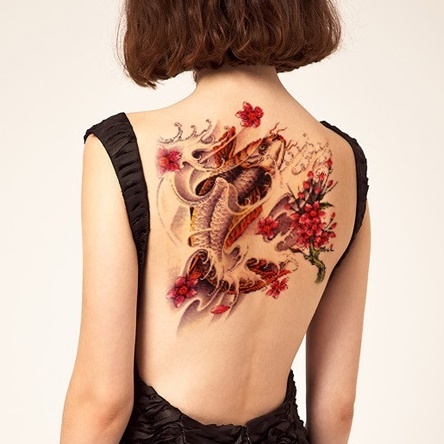 Dragon, Koi Fish and Lotus are lucky charm for tattoo designs. Almost every design holds a symbolism for tattoo making on the body. 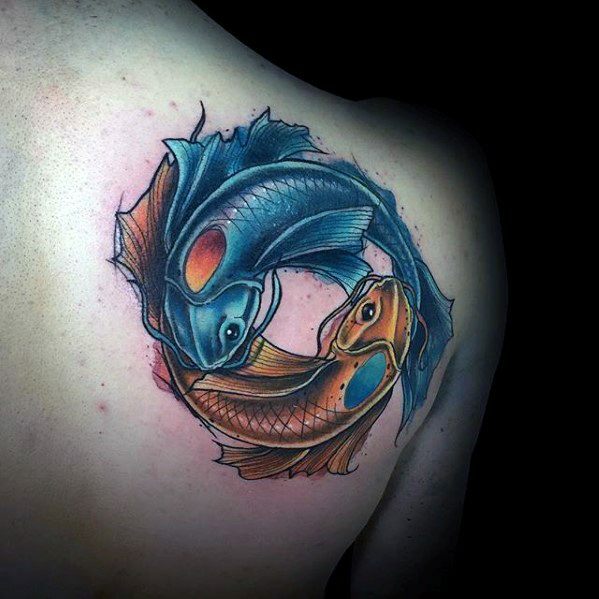 If you are keen on having a tattoo with a koi fish, you need to go through some details regarding the meaning of a koi fish tattoos. 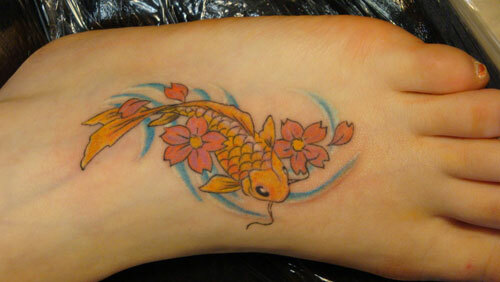 There are different koi fish tattoo meaning swimming up or down or color of the koi fish. The people of China and Japan takes the meaning of Koi fish tattoo as the fighting spirit against the adversities. 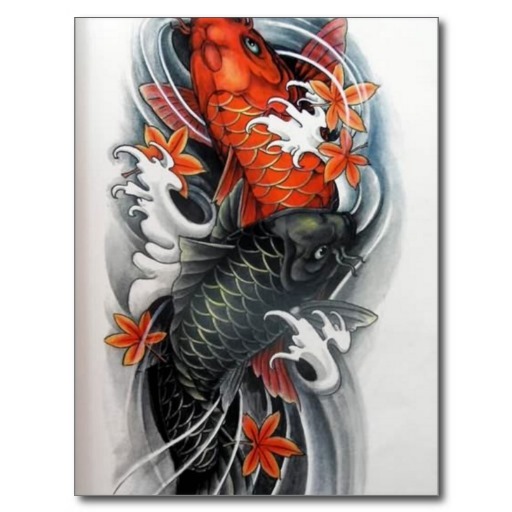 But there is very deep meaning inside each design created as a Koi Fish Tattoo. You shall also be interested in looking out for some most popular tattoo designs for men. 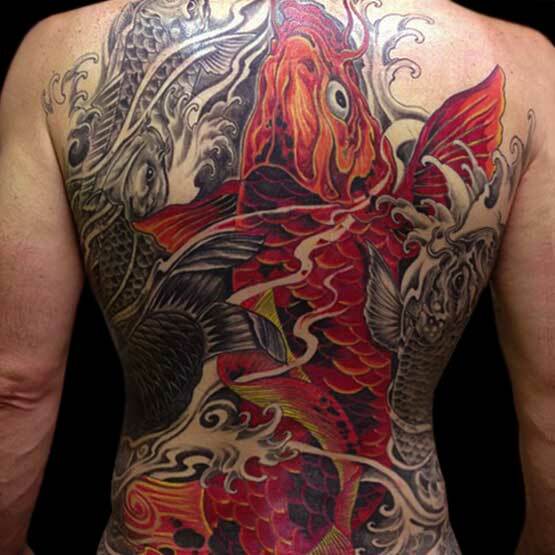 Koi fishes and the tattoo symbolizes courage and inner strength. 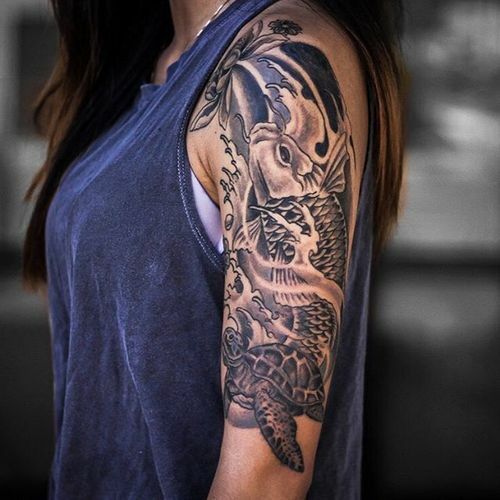 The black color koi fish meaning is basically stands for the one who has gone through great struggles in life and have overcome all obstacles to stand strong. In Japan, each color of Koi fish signifies a family member. The one with black color is generally father of the family. 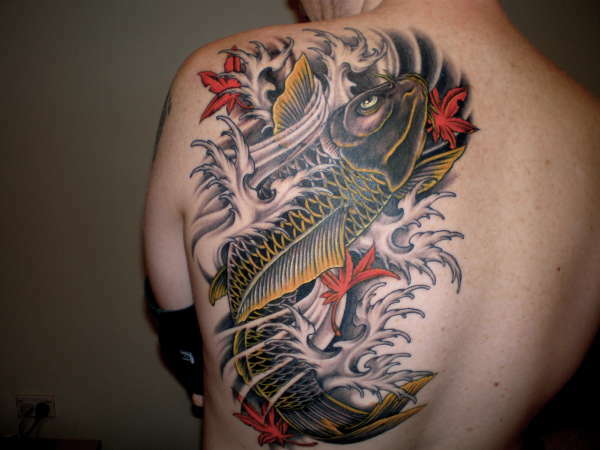 koi fish with lotus flower tattoo meaning – Lotus generally grows in mud. It signifies the beauty while living in dirt. 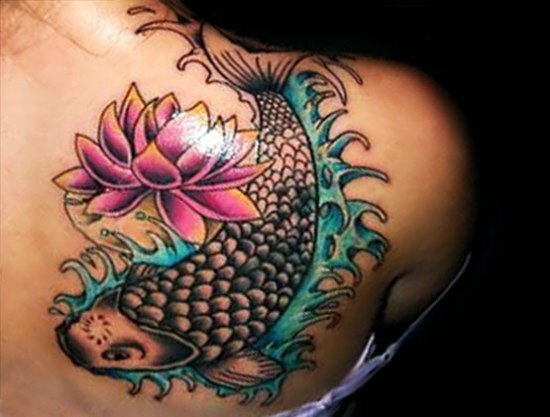 Koi fish and lotus together makes a meaning of fighting against all obstacles and maintaining the inner purity. Few tattoo designs are just for girls. Have a look at tattoo designs for women that most of them love. 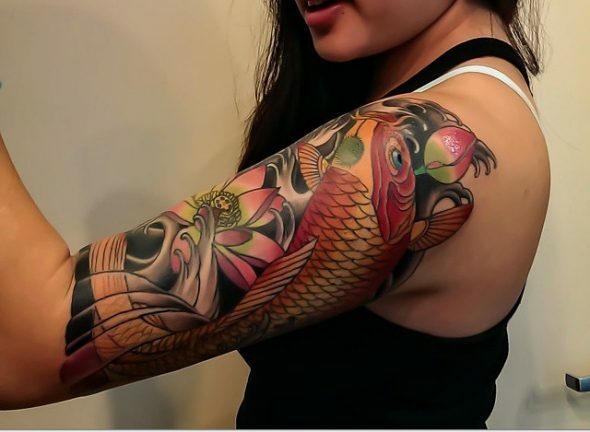 Koi fish represents life spirit. The power, the essence of life to fight and live. koi fish swimming downstream meaning- It may seem contradictory to the facts shown as Koi Fish Swimming upstream, but everything has its own meaning differing with each person’s belief. It may show ongoing struggles in life. 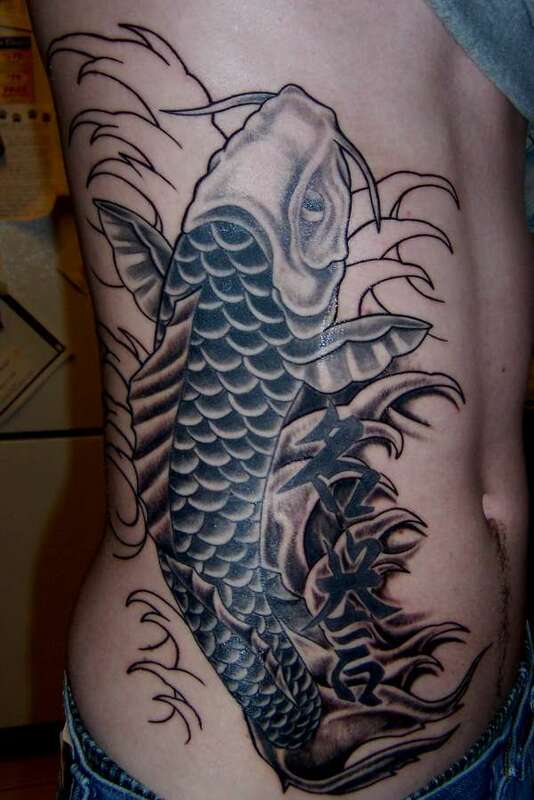 Grey color in Koi Fish tattoo meaning is staying positive always. 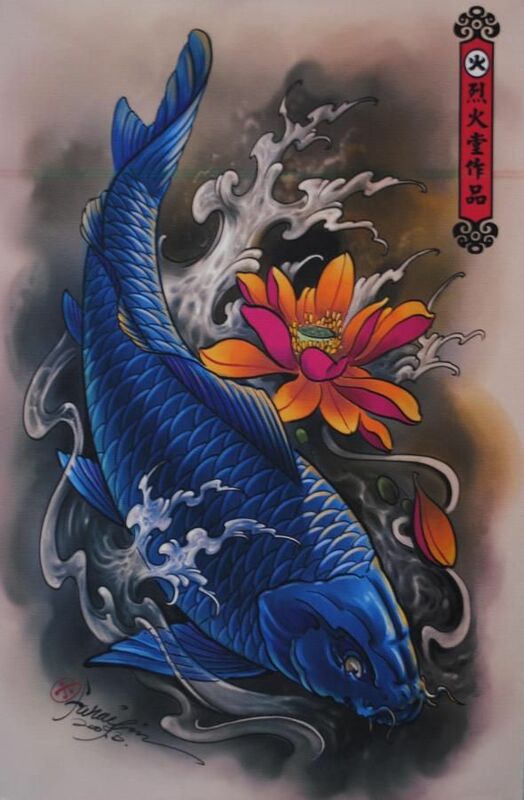 Same way metallic color in Koi fish tattoo meaning is representing wealth. Yin Yang means male female energy of the universe. It also symbolizes balance in everything that exists. 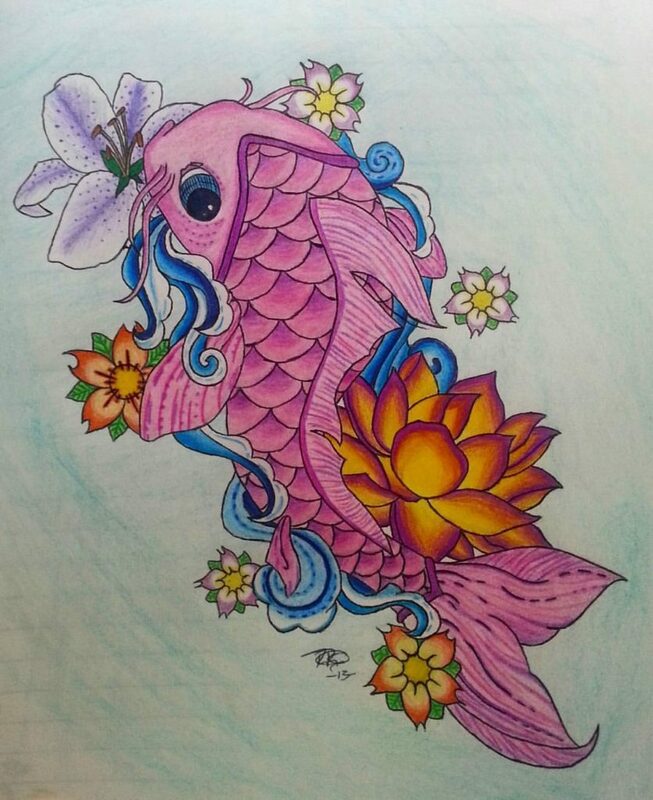 Making tattoo design with Koi Fish in circular movement shows that everything is energy and everything is connected. 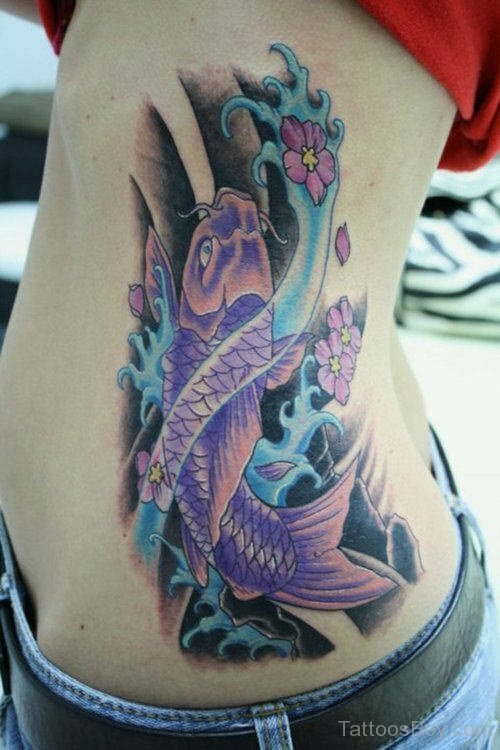 Girly Koi Fish Tattoo Design ideas looks really good with cherry blossom flowers. 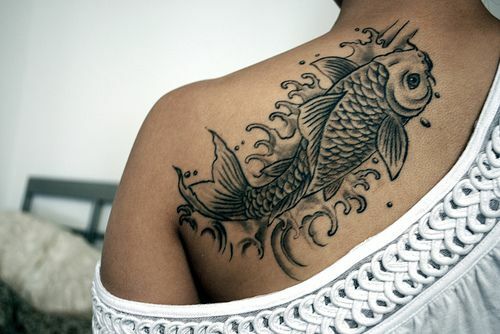 Rib is the best place for tattoo with Koi fish for girls.